All stations in the Citi Bike system can offer Bike Angels points if they're in need of more bikes or docks! The points assigned to each station are updated every 15 minutes depending on the bikes and docks available along with factors such as the day of the week, upcoming weather, and other factors. Download the newest version of the Citi Bike App, log into your account, go to Map Settings, and turn on Bike Angels. 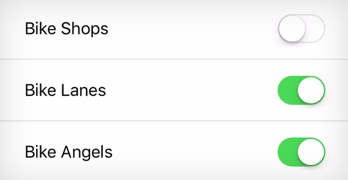 You can also view the Bike Angels station scores in your browser at the Citi Bike website. Head to the web map and once logged in you can click the layers icon and activate the Bike Angels station scores.